This year, Team GB's football team also included Manchester United's Welsh midfielders Ryan Giggs and Craig Bellamy and reached the quarter-finals where they lost on penalties to South Korea. An otherwise golden day for Britain at the Olympic Games ended in an all too familiar disappointment for soccer fans when the men's team were knocked out after losing a penalty shootout in the quarter-finals. Murray, seeded No. 3, became the first men's semifinalist at Wimbledon by beating No. 11 Nicolas Almagro of Spain, 6-4, 6-1. Presence of hardened campaigners such as Brazilian double Olympic champion Robert Scheidt and his crew Bruno Prada in the two-man Star class underlines the depth of the fleet in the 10 events off the south coast of England. 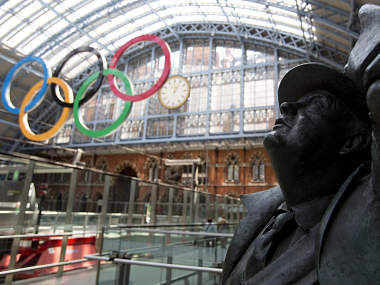 Can Britain break China, US, Russia Olympics monopoly? Since 2000, China and the United States have held the first and second slots in the gold medal tally with Russia third. Can home advantage make Britain break the jinx? The British football team's hopes of winning a medal suffered a minor setback as they lost 0-2 to Brazil in a warm-up match before the London Olympics Games. 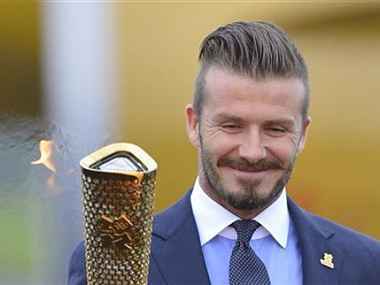 Team GB football manager Stuart Pearce said that David Beckham rated highly on his list of people he liked, but he was not picking the Olympic football team on sentiment. The Los Angeles Galaxy midfielder had been widely expected to be named as one of the three over-age players in Stuart Pearce's Under-23 squad for the London Games.